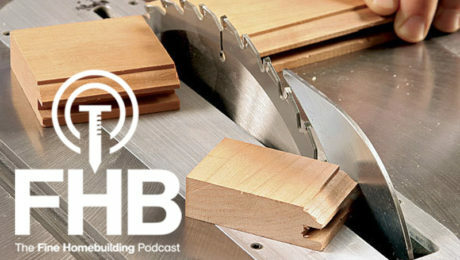 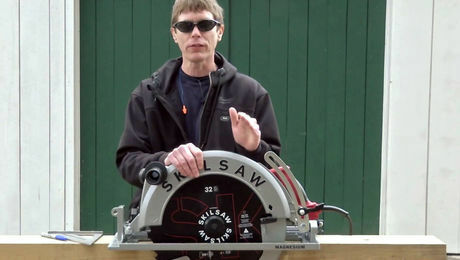 If you don’t have an arbor-lock mechanism on your circular saw, a simple operation such as changing blades can be frustrating. 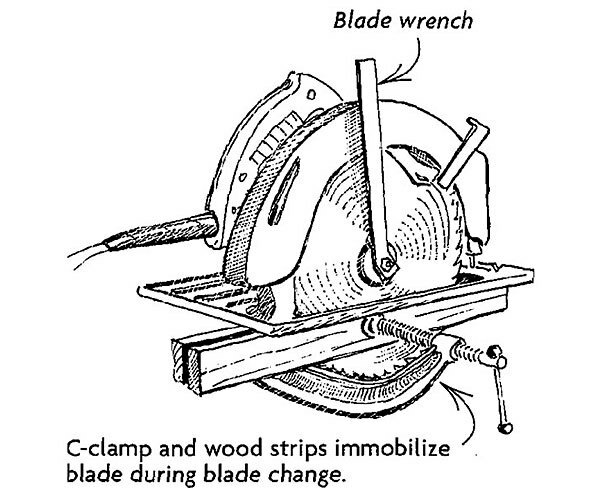 The drawing shows a simple technique I’ve discovered for immobilizing the blade as I tighten or loosen the bolt that clamps the blade to the saw’s arbor. 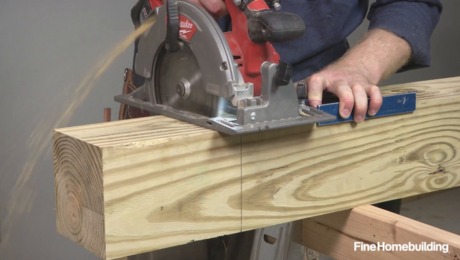 I cut two strips of wood a few inches longer than the base of the saw and clamp them tightly to the blade with a C-clamp. 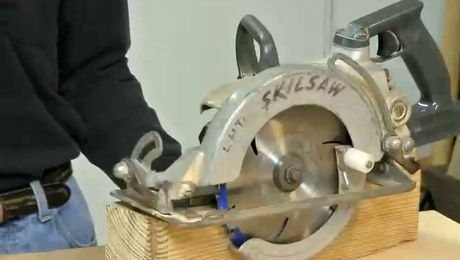 The wood strips are easy on the blade, and they hold securely while I reef on the blade wrench. 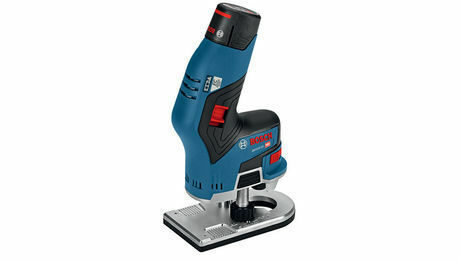 By the way, this technique works equally well on virtually any tool with a rotating disk, including grinding tools and table saws. 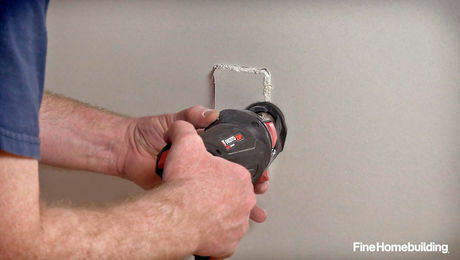 And although it should go without saying, I’ll say it anyway: Be sure to unplug the tool before changing a blade or disk.